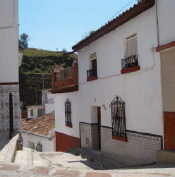 Accommodation to rent in Velez-Malaga, Costa del Sol. A traditional 1-2 bedroom village house newly furnished throughout situated in the heart of the old quarter of Velez-Malaga within 5 minutes walk of local shops, bars and restaurants. The nearest beach at Torre del Mar is a 7 minute drive away and Baviera Golf course is also easily accessible within a 10 minute drive. Click on the link for more information on this 1-2 bedroom village house in Velez-Malaga where you can check live availability & prices and make a secure online booking. Not suitable for young children. No pets. 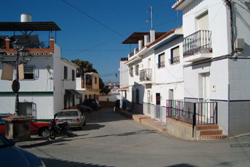 A traditional 2-3 bedroom village house in the centre of the older section of Velez-Malaga within 5 minutes walk of local shops, bars and restaurants. The nearest beach at Torre del Mar is a 7 minute drive away and Baviera golf course is within a 10 minute drive. Click on the link for more information on this 2-3 bedroom village house in Velez-Malaga where you can check live availability & prices and make a secure online booking.